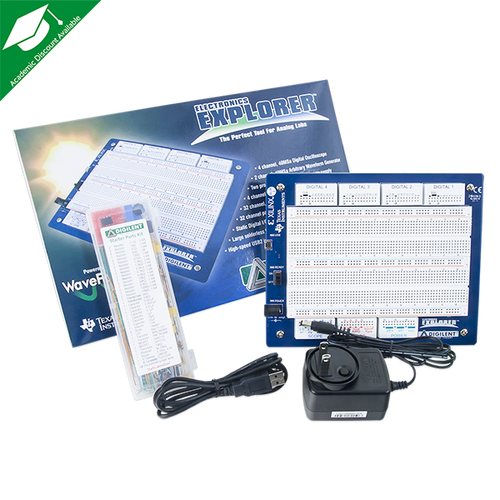 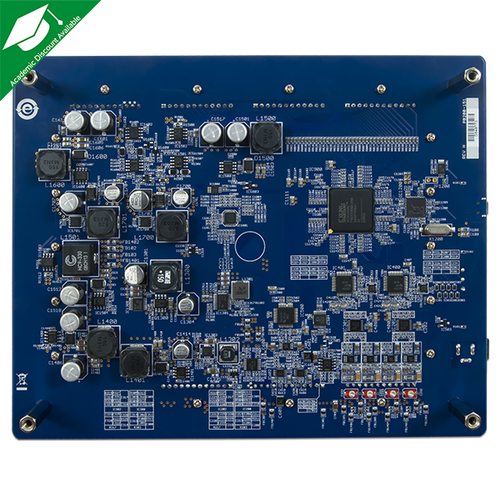 The Electronics Explorer is an all-in-one package for designing and testing analog and digital circuits. 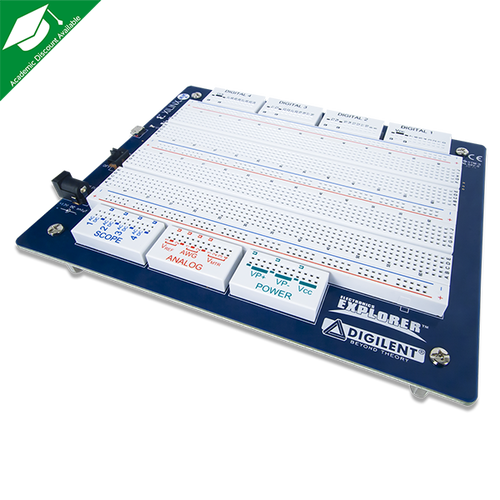 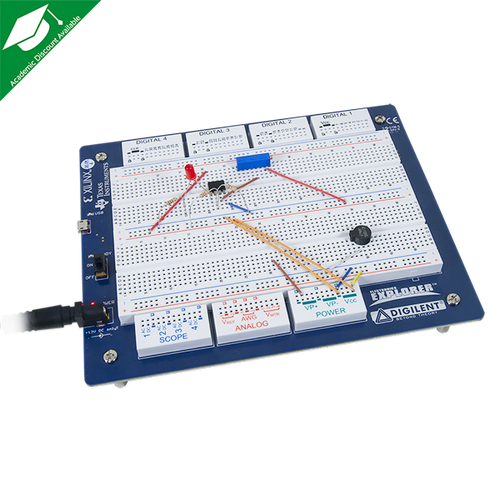 It is built around a large, solderless breadboard to allow for quick and simple prototyping. 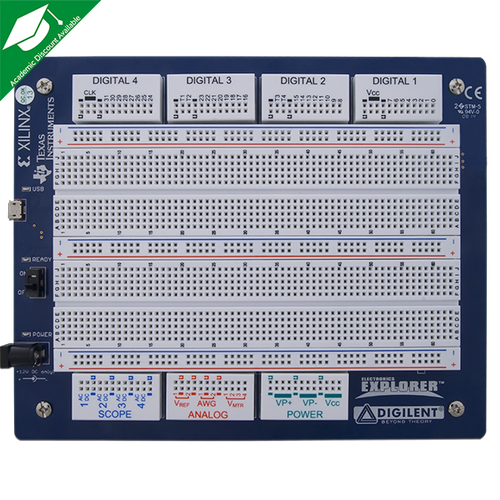 Operation of the EE Board is easily managed with Digilent's WaveForms software.